Cliff Bleszinski: FPS campaigns often cost "75% of the budget"
Lawbreakers wasn’t actually available to demo at PAX South this year, but we still managed to catch up with Cliff Bleszinski to ask him how the game is going. I also asked about some current trends we’re seeing in the shooter genre, like the lack of single-player campaigns. 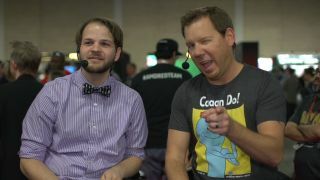 Bleszinski said the trend away from shooter campaigns is because "campaigns cost the most money." "They usually cost 75% of the budget," said Bleszinski. "And you burn through the campaign in a weekend, and then [players] go to multiplayer." You can watch the full interview above.